Exceptional sought after Damon Farms neighborhood. Completely renovated Colonial w/4 BR, 3.5 baths, front to back living room w/gas log marble fireplace. French door leads to designer chefâs kitchen w/white shaker cabinets, granite counter top, huge center island, breakfast bar & black stainless appliances. Kitchen open to sun drenched dining area & family room w/sliders to large bluestone patio. First floor master/au pair suite/office w/full bath & large walk-in closet. Second floor w/2 bedrooms plus large master suite with washer dryer room, large bathroom and huge custom walk-in closet. Hardwood floors throughout, two car attached garage, 3 zone gas heat and AC, on-demand gas water heater, new 200 amp electrical service, new energy efficient windows & doors, fully insulated, brand new 4 bedroom septic system, large private fenced yard. 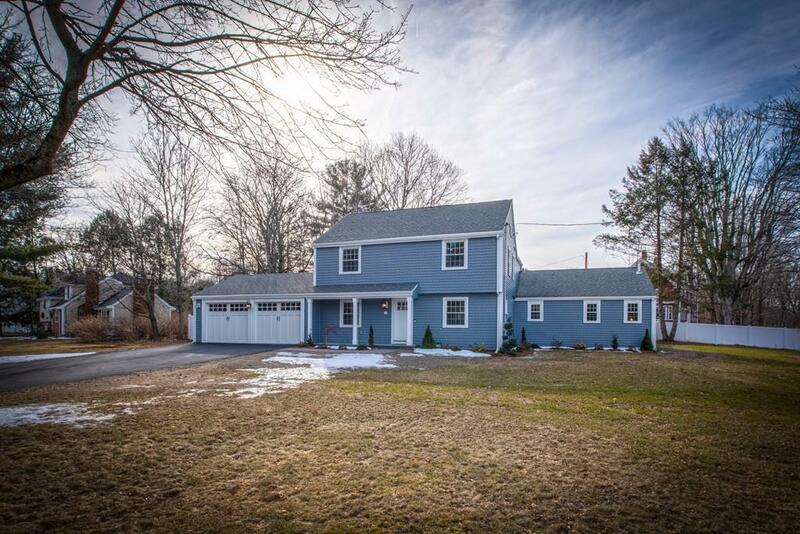 Outstanding Wayland schools and convenient commuter location, 20 minutes to Boston. No showings until Open House Sat & Sun 2/2 & 2/3, 12-2pm.